To any doctor worthy of the title, all life is incalculably precious. Creepy though it may be that anyone can muster the moral detachment necessary to support legal abortion, the desensitization necessary to personally perform one rises to an entirely different level of depravity. While mere advocates may be deceived or willfully ignorant, abortionists possess more than enough knowledge to know exactly what they’re butchering, experience the bloody deed, and decide that their consciences can handle doing it regularly. “The younger doctors are apathetic and the old doctors are retiring,” complained MSFC conference speaker Dr. Rachel Phelps, a former pediatrician who now serves as associate medical director of Planned Parenthood of the Rochester/Syracuse Region. Data from the Federation of State Medical Boards reveals [PDF] that only 0.2% of physicians provide abortions. That’s only 2 doctors out of a thousand. A recent survey of 1,144 obstetricians revealed that while 97% said they’d had patients who sought abortions, only 14% percent ever provided them. Signs of the same reluctance can be found among the medical professions of Canada, the U.K., Portugal, France, and Italy. Why might that be? We can see pro-choicers’ default answer coming a mile away: “Because anti-choice violence scares them away!” This, of course, is a red herring – no respected pro-lifers or meaningful segment of the movement supports violence against abortionists, and violence by lone extremists is similarly rare; Feminist Majority Foundation puts the grand total of anti-abortion murders at…ten people. That’s about 0.07% of the 14,748 total murders and manslaughters committed in 2010 alone, and about 0.00002% of the murdering done by the poor abortionists themselves since Roe v. Wade. For 40 years, we have been peacefully protesting at their abortion clinics—a pro-life presence that has only increased in recent years with initiatives like 40 Days for Life. We’ve picketed their homes. We’ve made sure that the word “abortion” conjures up the ugly reality of abortion’s victims—abortionists’ victims. We’ve also shined a light on the malpractice and criminality of which so many abortionists are guilty of. We’ve made “abortionist” a dirty word. 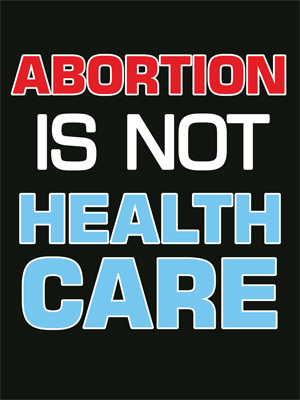 Of course, shaming the abortion industry wouldn’t be nearly as effective if abortion weren’t intrinsically shameful, and the heart of the disconnect is something pro-choicers simply can’t blame on pro-lifers, no matter how hard they try. Most doctors still take their profession seriously, respect the preservation of life as medicine’s most basic and essential end, and follow the medical evidence to its inescapable conclusion that unborn children fall within that mandate. To any doctor worthy of the title, all life is incalculably precious, and treating one patient doesn’t mean killing another. This above all is why the recent pro-choice push to cast abortion as a central component of women’s health care was so obscene: because abortion is fundamentally opposed to the very nature of health care. That most doctors want nothing to do with the vile practice is no coincidence.